What?!? Is it time to start thinking Thunder already? Bristol Bar And Grille in Jeffersonville thinks it is. 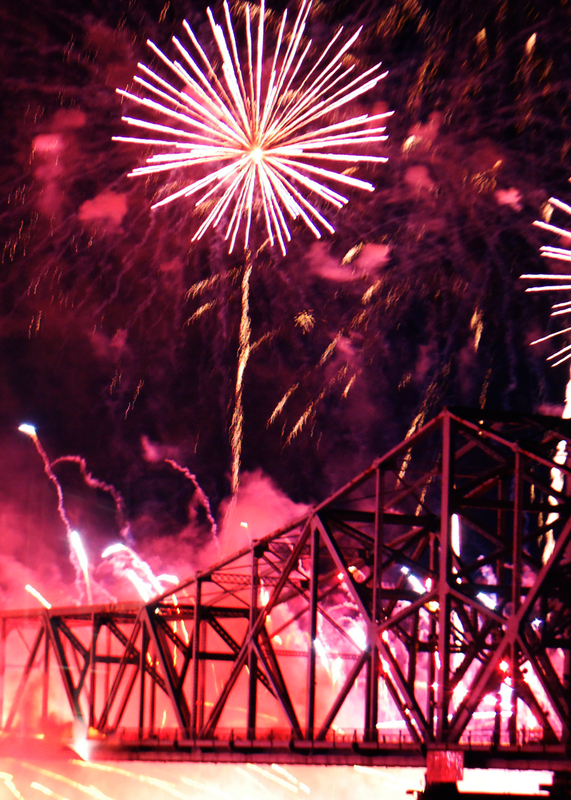 Well, the Derby season kickoff, Thunder over Louisville is only about 6 weeks away. And the J’ville Bristol has one of the best viewing spots for that noisy spectacle. So now is the time to think ahead and reserve your place on the Sunny Side to watch the hoopla and the fireworks. Doors open at 3 p.m., on Saturday, April 12, just in time to catch the launch of the air show before the appetizer buffet begins at 4 p.m.Dinner is served from 6 to 8:30 p.m., followed by a dessert and coffee station from 8:30 until 11 p.m. The fireworks show starts at 9:30 p.m. Guests making reservations must purchase the entire table. The price is $180 per seat or $100 per seat at the patio tables, which will be covered with a tent. Limited view tables and bar stools are priced at $130 per seat. The price includes the buffet, iced tea, coffee, soft drinks, and sales tax. Alcohol, gratuity and parking are not included. Guests will receive wristbands so they can come and go as they please. The Jeffersonville Bristol’s phone is (812) 218-1995;. For more information, visit www.bristolbarandgrille.com.